Groups instrumental in advocacy against Marcellus Shale fracking suggest future action towards achieving a permanent ban. The vote on fracking the Delaware Basin was postponed when Delaware Governor Jack Markell announced before the Trenton rally on November 21, 2011 that Delaware would vote No on the proposal, and New York’s Governor Cuomo had already decided to cast a No vote too. Because there weren’t enough votes to win, the vote was postponed. The group has produced a movie exposing false claims that fracking would produce a landslide of jobs in the region. And, they invite people to join a protest against fracking in Manhattan on Wednesday, November 30 at 4:30 pm at the DEC hearing. Last Thursday, Environment New Jersey helped to deliver an important victory to protect the Delaware River and our drinking water from dangerous gas drilling—and we couldn’t have done it without your ongoing involvement and support. After months of deliberation, a little-known agency called the Delaware River Basin Commission (DRBC) delayed a proposal to open the Delaware River Basin—and our drinking water —to harmful gas drilling. Why the delay? Because there weren’t enough votes to approve drilling. It looks like we won by the skin of our teeth—representatives from the Obama administration joined the governors of New York and Delaware to voice their disapproval for any proposal that would put our Delaware River at risk. But we’re not done yet. President Obama holds the deciding vote on the commission. 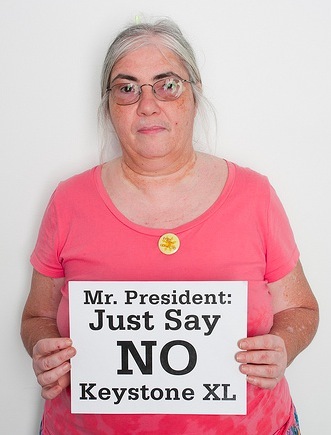 Please, “>Email President Obama today, and tell him to stand up for the 15 million of us who get our drinking water from the Delaware. What Is Marcellus Shale/Delaware Basin Fracking? There are deposits of shale throughout the United States, but the Marcellus Shale formation is the biggest one in the country and the 2nd largest in the world. The New York City Council has a great synopsis about why fracking shouldn’t be allowed in the Delaware River Basin where the Marcellus Shale formation sits. The Delaware River is the critical water source for over 15 million people — five percent of the U.S. population — including residents of New Jersey, Delaware, Philadelphia, and 8 million New Yorkers. Furthermore, experts agree that hydraulic fracturing could contaminate drinking water, causing irreparable harm and costing taxpayers billions of dollars. The Delaware River Basin Commission (DRBC), an agency composed of representatives from four states and the federal government, is taking steps to finalize regulations for hydraulic fracturing in the area near the Delaware River in Pennsylvania. While thousands of gas wells have been developed in Pennsylvania in recent years, development of hydraulic fracturing has been much more limited in the area near the Delaware River due to the area’s status as a critical drinking water source for five percent of the U.S. population. On September 29th, Councilmember James Gennaro introduced a resolution calling on the DRBC to halt the issuance of regulations for gas production using hydraulic fracturing for water withdrawal for the purpose of hydraulic fracturing within the Delaware River Basin until a cumulative impact study is completed to assess the risks and inform the development of adequate regulations for hydraulic fracturing in the Delaware River Basin. New York Times writer Eliza Griswold reports on the local environmental dangers of fracking, a practice which in the regions it takes place is ruining water supplies in locations across the country, corroding home and business water delivery pipes and appears to be killing pets and farms animals too. Griswold was directed by a Range Resources spokesman to move away from a “fracking pond” containing chemically treated waste water that had been used in the company’s fracking process which Griswold observed to be sitting in a catch basin at the top of a watershed (EPA definition). TDS, or total dissolved solids in our drinking water were blamed for its chunky state. But water company officials were quick to tell us that even though it may spot glasses in your dishwasher, there is nothing to worry about — the water is safe to drink. Sure, if you can get past drinking something tasting nearly as bad as the prep for your last colonoscopy! Turns out some of the low river flow, and much of the TDS chunkiness, resulted from the Marcellus Shale gas boom. Unless you have been sleeping, or residing on Mars for the past year, you know about this madhatter gas drilling boom that’s going on, with the epicenter in Hickory, Pennsylvania. Estimates indicate the Marcellus Shale holds enough gas to supply the entire US for 14 years, so main players ante up like it’s the California Gold Rush. Water is pumped out of streams anytime, anywhere . . . The Pennsylvania Clean Streams Law is supposed to protect drought- stricken streams from de-watering, but is this law being enforced? Mark Ruffalo stood with Occupy Trenton at the huge anti-fracking rally in Trenton yesterday (on 11/21) with Josh Fox, creator of the movie Gasland, to address the hundreds of protestors and Green Drinks co-host Sally Gellert was there too. President Obama is postponing pushing for large scale environmental legislation until after the 2012 election. Decision on the XL Pipeline is one of the projects being put on his agenda for 2013, and particulate matter in our air (affects air quality) is another issue being postponed to receive attention that year. While environmentalists are understandably disappointed that issues of concern are being tabled instead of dealt with decisively right now, I think that Obama’s very wise to not push for changes in these areas right now. That might give big business and the politicians and media outlets they own, enough fuel to engulf our president in a storm of controversy which could easily distract voters from the most important task facing us this year: re-electing the president. Obama might not be perfect, but on a bad day he’s worlds better for average North Americans, and environmental protection, than any Republican is going to be, for the simple reason that Republicans support big business and the 1% – the guys who got us into this environmental mess. We’d have to be nuts to count on them to get us out of it. Of course, we talked about the two major recent wins in the environmental world which everyone in New Jersey is happy about this week: postponement on voting to approve the Keystone Tar Sands XL Pipeline (for which Green Drinks co-host Sally Gallert was arrested in DC for protesting against). AND the postponement of @ivanwei‘s Fair Lawn Green Team committee for making Fair Lawn a healthier, more sustainable town by improving access for bikers and walkers. Ivan and Sacha are both bikers, and Ivan bikes as his primary mode of transportation. With @kimiwei‘s help the team of three has decided that our first task is working on establishing a safe, direct route from the Bergen County Bike Path to Bergen Community College. Currently, the bike path runs through Fair Lawn to within 1/4 mile of Bergen Community College but does not feature a safe route directly onto college grounds. To get to the college, bikers must emerge from Dunkerhook County Park, cross heavily trafficked Paramus Road without the benefit of any signs advising traffic to slow down or watch out for biking (or walking) traffic and then make their way on a narrow strip of pavement adjacent to the east side of the road. Because a librarian died traveling home from BCC on Paramus Road, we know that it’s a dangerous place for bikers. Biking and walking are healthy activities which progressive health officials like Carol Wagner, Health Department Director, wants to encourage in the town of Fair Lawn. These activities also impact the environment by reducing vehicles miles travelled – a provision called for in the visioning statement of Bergen County’s master plan, and also help reduce greenhouse gas emissions. That’s an issue on so many people’s minds these days now that mainstream resources such as the climate change study funded by the Koch brothers and NASA’s Climate Change education initiative reveal that climate change is a real concern and the temperature really is rising around the globe. Naturally, we discussed #OWS @occupywallstreet. What progressives aren’t talking about this movement? It isn’t well known that in the field of Sustainability, social justice is as important a concern as environmental justice. Events led to our discussion touching on prisoner re-entry for a while: a young man of color approached our table towards the end of the night saying he had just been let out of the county jail and needed money to get to Morristown. I explained to him that I’m not in the habit of giving money to people but I could offer him a meal, if he wanted one, and a ride to Morristown if he could wait 15 minutes until our gathering wrapped up. The young man politely declined the meal, and decided to move on after asking a second time for cash and hearing my offer of a ride repeated. We wondered what help inmates are given to get on with their lives, and at least reach a destination of choice, when they leave the penal system and are released from jail. I’m checking into this question – if you have tips or info, please share. At Green Drinks Hackensack last week on 11/14 we were joined by a fellow couchsurfer, Joanneh, and a couple of her family members, one of whom – Michael Hakim – is a well-known landscape architect and environmental professional. Ivan and I promote Green Drinks in the Couchsurfing community and were delighted to have couchsurfing friends join us. Clifton/Paterson has been the slowest group out of the three we run, to establish, but it seems to be picking up impetus. Our little group talked about The Sultan food as well, but that part of the conversation lasted only as long as the food – which is to say, not long at all. Like Thanksgiving birds, we gobbled it all up and, it was great! Environment New Jersey is endorsing Sen. Bob Gordon and Assemblywoman Connie Wagner for re-election this fall. In fact, defending their seats is one of our top priorities in this election. Clean Water: Both Sen. Gordon and Assemblywoman Wagner are leading the fight to keep our water supply safe from toxic chemicals used by companies who are fracking for natural gas. Open Space: Sen. Gordon and Assemblywoman Wagner have consistently opposed developer-led efforts to weaken environmental protections for forests, wetlands and other critical open spaces. Clean Air and Clean Energy: Sen. Gordon and Assemblywoman Wagner are fighting to save the anti-pollution program known as the Regional Greenhouse Gas Initiative, which cuts power plant pollution and promotes clean energy. Come Tuesday, Nov. 8, I hope you’ll help defend New Jersey’s environment by casting a green ballot for Bob Gordon and Assemblywoman Wagner. Thanks, as always, for making it all possible. Environment New Jersey today announced its full slate of endorsements for state legislative elections this year. Receiving the group’s endorsements are: Assemblyman McKeon (D27), Assemblywoman Jasey (D27), Senator Gordon (D38), Assemblywoman Wagner (D38), Senator Greenstein (D14), Assemblyman Benson (D14), Senator Whelan (D2), Senate Majority Leader Barbara Buono (D18), and Assemblyman Barnes (D18). “These leaders are environmental champions in the legislature. They have consistently fought for clean air and water, open space and clean energy and we need their continued leadership now more than ever,” said Dena Mottola Jaborska, executive director of Environment New Jersey. These endorsements reflect the importance of the environment in this year’s elections. The group will conduct voter mobilization efforts targeted at their members in these five targeted districts. The group is working to recruit volunteers from among its 60,000 active members and supporters statewide. Volunteers are being asked to join Environment New Jersey’s staff in its plan to mobilize the green vote in these districts, and organizers will contact every Environment New Jersey member in these districts via e-mail and phone-banking. Follow-up phone banks will be held on October 30, and November 5th, 6th, and 7th in Trenton, South Orange, Highland Park and Fair Lawn to help get out the vote for these environmental leaders. Governor Christie has announced plans to entirely end the RGGI program in New Jersey, to weaken our clean energy goals, and to adopt an environmental loophole policy. In the last two year, these leaders have advanced a number of environmental protections and fought a number of rollbacks to pollution-busting programs. They include a clean fertilizer bill that protects waterways statewide from pollution, a ban on fracking, and the establishment of a ground-breaking off-shore wind financial incentive program. “In the past two years, these leaders have helped put in place some of the strongest clean water and clean energy policies in the nation, ensuring New Jersey continues to lead the way on strong environmental protection,” said Mottola Jaborska. Those endorsed are also working to oppose the NJDEP environmental loophole bill (known as the waiver rule), to defend the RGGI program which cuts pollution from power plants, and are backing legislation to strengthen the state’s clean energy standard and protect its funding. “Voters who care about the environment must not sit this election out. Environment New Jersey will be making sure environmentally-minded voters in these key districts know just how critical their vote really is this year. We’ll be educating them about the issues that hang in the balance, and why we need these legislators to be re-elected, so they can continue to fight for strong environmental protections,” said Mottola Jaborska. Assemblyman John McKeon (D27) represents sections of Essex and Morris County. He is the Chair of the Assembly Environment Committee and was a prime sponsor for a package of bills to protect Barnegat Bay, most notable a key bill to set strict pollution limits for the Bay which was conditionally vetoed by the Governor. The Assemblyman was the leading prime sponsor of legislation to defend the RGGI program in the state which was vetoed by the Governor in August. He was a prime sponsor of a groundbreaking bill that establishes financing for wind energy off New Jersey’s coasts and has recently introduced new legislation to expand the state’s renewable energy standard (to 30%) and set a mandatory state policy that would cut energy demand by 20%. The Assemblyman has consistently worked against and voted against bills that would weaken environmental protections, including one that would allow the NJDEP to make substantial changes without taking public comment. Assemblywoman Jasey (D27) also represents sections of Essex and Morris County. She has also consistently opposed environmental deregulation bills and was a prime sponsor along with Assemblyman McKeon of a bill to set strict pollution limits to clean up Barnegat Bay. She also co-sponsored the bill to defend the RGGI program. Senator Gordon (D38) was the leading prime sponsor of the fracking ban bill that passed this June and was conditionally vetoed by the Governor. He was a co-sponsor of a bill to set strict pollution limits for Barnegat Bay and has consistently opposed bills that would weaken environmental protection including one that would allow the NJDEP to make substantial changes without taking public comment. Assemblywoman Wagner (D38) was the leading prime sponsor of the fracking ban bill that passed this June and was conditionally vetoed by the Governor and she was a co-sponsor of the clean fertilizer bill. She co-sponsored the groundbreaking bill that establishes financing for wind energy off our coasts and she has consistently opposed bills that would weaken environmental protection including one that would allow the NJDEP to make substantial changes without taking public comment. Senator Greenstein (D14) was a prime sponsor of the fracking ban bill that passed this June and was conditionally vetoed by the Governor and she is also a prime sponsor of new legislation to expand the state’s renewable energy standard (to 30%) and set a mandatory statewide policy to cut energy demand by 20%. Senator Greenstein has consistently opposed bills that would weaken environmental standards and has one of the best environmental voting records in the Legislature. Assemblyman Benson (D14) was a co-sponsor of the fracking ban bill that passed this June and was conditionally vetoed by the Governor and he was a co-sponsor of the bill to save the RGGI program that the Legislature passed this June before being vetoed by the Governor. Senator Whelan (D2) has been a leading voice of opposition against the Governor’s plan to leave the RGGI program and the Governor’s Energy Master Plan. He co-sponsored both the ground- breaking bill that established financing for wind energy off our coasts and the fracking ban bill that passed this June and was conditionally vetoed by the Governor. Senate Majority Leader Barbara Buono (D18) has been a leading voice of opposition against the Governor’s attempts to deregulate environmental protection and consistently has voted against environmental rollback bills in the Legislature. She has recently introduced a resolution opposing the NJDEP waiver rule, and she also co-sponsored the fracking ban bill that passed this June and was conditionally vetoed by the Governor. Assemblyman Barnes (D18) was a prime sponsor of the Save RGGI bill that passed this June and was vetoed by the Governor. He consistently co-sponsors and supports key environmental legislation, including the fracking ban bill, the clean fertilizer bill, and the bill that would have set strict pollution limits for Barnegat Bay. I was arrested on Friday, 2 September, and it was deeply meaningful – and I hope, will contribute to the defeat of this monument to fossil-fuel addiction. The charge was “failure to obey a legal order”, and it is an infraction, not even a misdemeanor. Basically, the equivalent of a traffic ticket, as the trainers [seasoned activists who prepared protesters for getting arrested] explained it. The service at All Souls [Unitarian Church] may have been cancelled, but there were protests every day at the White House. There may not have been arrests, as diverting park police from hurricane-related duties would not have been a good idea for many reasons, but nobody [none of the protesters] took the day off. A question: was 15 people really the largest delegation from any single denomination? That seems surprising to me, even as it seems a pretty poor showing for a religious group [Unitarian] that prides itself on its history of social action and commitment to social justice. I challenge us to do better in the 2.5 months that we have remaining in which to influence the president: for the pipeline to be built, he must sign a permit declaring that [the pipeline] is in the national interest. That would mean approving a pipeline to the Gulf of Mexico [where the oil would be refined and then sold to the highest bidder, domestic or foreign]. [On its way it would cross] the Ogallala aquifer, which provides drinking water for millions of people and irrigation for most of our agriculture; [it] would be fed by a technology that removes 2 tons of soil and uses 4-5 barrels of water for every barrel of oil [produced], and [the pipeline would produce] only 3 times the amount of energy expended. By comparison, conventional oil produces 100 times the energy [invested to produce it]. I cannot see how this can be in the interest of anything but profit [to the producers at the expense of extensive exploitation of and damage to natural resources]. Extracting gas from the Marcellus Shale deposit in Pennsylvania – country’s largest deposit – is still being promoted and it’s not good for us. Takes too much water from the region causing the water table to sink dramatically and it creates potable water pollution. Keep learning about fracking and advocating against it. Speak about it with family, friends and politicians. Join the Reality Climate Project starting at 8pm EST on September 14. 24 Presenters. 24 Time Zones. 13 Languages. 1 Message. 24 Hours of Reality is a worldwide event to broadcast the reality of the climate crisis. It will consist of a new multimedia presentation created by Al Gore and delivered once per hour for 24 hours, representing every time zone around the globe. Traditional government policy view the monetizing of natural resources as equivalent with the “public good”: that’s why business interests are able to get away with so much environmental destruction. But it isn’t very good to lack clear air and water, is it? Morty mentioned that he received a scare letter forwarded from a friend cautioning senior citizens that Medicare rates are going to be much higher in 2012 and even worse after that, so Morty called the Medicare office for verification. The customer service rep laughed when she heard his concern: 2012 Medicare rate figures don’t get released until October; and no one has even a slim idea about what the rates will look like in the years to come. It’s important to realize that Fox News doesn’t deliver real news (informed people call it “infotainment“) and furthermore, it has a very apparent aim to create a state of constant panic in viewers; it will pull any dirty tactic possible to discredit individuals wishing to rationally debate ideas; and, Fox presents fabricated versions of history to bamboozle viewers into believing what it wishes them to believe. More info at Fox News Boycott and 14 Propaganda Techniques Fox ‘News’ Uses to Brainwash Americans. Disneyworld: As Un-American As . . .? Fox isn’t the only organization promoting buy-in to image over reality. What about Disneyworld? A National Geogrphic exposé unearths a lot of disturbing secrets about this “American Institution” which strangely, doesn’t exactly belong to America. By the 1960s, all over America, suburbs were replacing old neighborhoods. Malls were driving Main Street out of business. There was hardly a new ranch home or split-level that didn’t have a TV antenna on the roof. Disney realized that in the coming decades shows like The Mickey Mouse Club, not climate and geology, would determine what the majority of Americans would consider a safe and enjoyable place to take a family vacation. That day, flying over central Florida, Disney decided that he, not reality, would define what constituted the Magic Kingdom in the minds and spending habits of millions of Americans in the years to come . . .
Disney’s new empire in central Florida would be marketed as Disney World. Its official name was, and remains, the Reedy Creek Improvement District. Thanks to a sweetheart deal with the state legislature, the lands Disney purchased were detached from the rest of Florida to form a Magic Kingdom, above and outside the law. Even now, Disney World’s rides are exempt from state safety inspections. Democratic process is excluded, too. Power remains in the hands of a board of supervisors composed of Disney allies. However much you pay for a time-share condo in Disney World, you cannot buy property outright, and therefore establish official residence, and therefore vote for the board. Celebration, Disney’s residential community themed to evoke pre-1940s small-town America, has a city hall but no actual municipal government. I’ve saved the most exciting news for last. Green Drinks 3 co-host Sally Gellert, travelled to DC last week in order to get arrested along with 1200 plus other protesters including NASA’s James Hansen – who is speaking about the environment at Bergen Community College on 9/22. Next week is Green Drinks Paterson/Clifton. We’ll be back with a report on what was discussed, or you can come out and help shape the conversation yourself. Here are a selection of good videos about sustainability and the environment (list will be added to – post your favorites in the comments). This may be my favorite. The Wombat explains exactly why we need to get it together – and get along. 1 min. This hip-hop video is off the hook – and it’s produced by NASA, although you won’t believe it when you see it.